Aaron Mead, who blogs at Children's Books and Reviews, recently interviewed me about The Well-Read Child and my thoughts on reading and children's literature. It was really fun to be the interviewee and answer his thought-provoking questions. If you haven't checked out Children's Books and Reviews, take a minute to explore the site. Not only does Aaron feature interviews with children's literature bloggers, but he helps adults find great books for kids. I particularly enjoyed reading his "How to Choose Children's Books" series. A big thanks to Aaron for the opportunity! 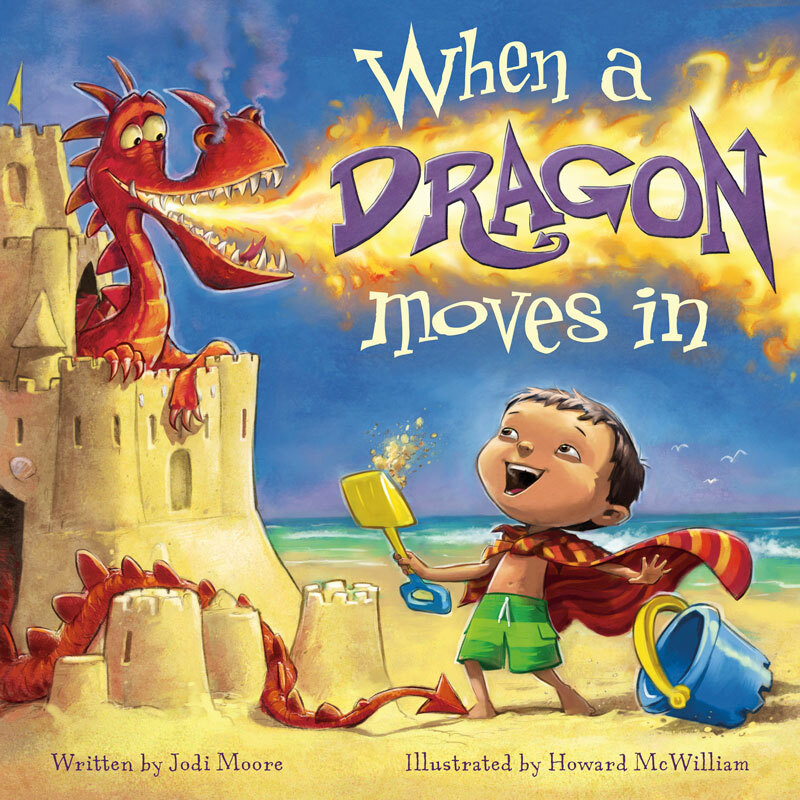 When a little boy builds a sandcastle at the beach, an impressive fire-breathing dragon moves in. At first, it's pretty cool to have a dragon living in your sandcastle. He does things like scare away the beach bullies and roast marshmallows. 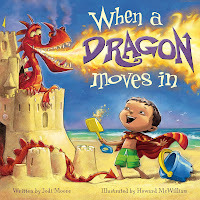 But when no one but the boy believes a dragon moved in, the dragon gets a little more mischievous and claws the brownies and eats all of the sandwiches. Soon, the entire family, including the boy have had enough of the dragon. This is a super cute book that celebrates the imagination. My daughter has asked me to read it to her many times and never fails to laugh at all of the mischief the dragon and little boy get into. Because the story never directly tells you whether or not the boy is imagining the dragon, she always asks, "Is the dragon real? Or is the boy making it up?" The illustrations really steal the show though. Howard McWilliam brings the story to life, from the vivid images of the beach setting to the expressive faces of the characters. Check out the publisher's website to see some of the excellent illustrations. They certainly inspire my daughter and I to go the beach and see if a dragon moves into our sandcastle. I highly recommend this book for a fun, engaging read. I just learned of this awesome book fair Guys Lit Wire is holding for Ballou Senior High School in Washington, D.C. When the fair was announced on May 1, the school library only 1,185 books for a student population of 1,200. As of yesterday evening, 500 books had already been purchased. I'm heading over now and buying some books for this very worthy cause. I hope you'll consider doing so as well. Imagine a world where a virus prevents people older than 18 from conceiving a child. A world where teenagers are encouraged to have babies and sell them to the highest-bidding families. A world where even teenagers can go "pro" and get paired with the best "breeds" in hope of making the perfect baby, where brokers get paid a nice sum to make a match. Now imagine the world of the "churchies," a fundamentalist group that takes in the weak, sick babies that no one else wants. A group that refers to themselves and the "Goodside" and arranges the marriages of their youth, where babies are born to families the "old-fashioned" way. This is the world that Megan McCafferty has created with Bumped. Twin sisters Harmony and Melody have never met each other and never knew the other existed until recently. Harmony was raised on the Goodside and is betrothed to a man she doesn't love. 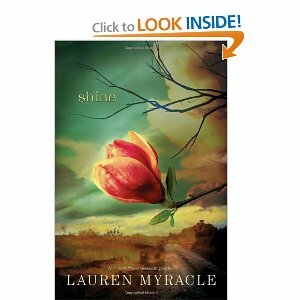 She decides to leave Goodside to save her sister from the evil of the "Otherside" and bring her back to her community. Melody has lived a life under the constant scrutiny of her adoptive parents who want her to be perfect. She was the first girl in her school to get a "conception contract" with the Jayden family who are willing to pay a lot for the baby she produces. It's just up to the broker to find the perfect father for the baby. But time is running out. She only has a couple of years before she'll be unable to conceive. When Melody and Harmony meet, both of the girls begin to question the worlds in which they grew up and have to make tough decisions about their futures. I expected it to be a little more dark and dreary like most dystopian novels are, but this was very satirical. McCafferty pokes fun of the social media that has consumed the lives of everyone. No one can do anything without it popping up on "MiNet." And the commercialization of the teenage pregnancy phenomenon looks downright ridiculous from the outside. Girls who aren't yet pregnant can try on "Fun Bumps," lifelike baby bellies that actually wiggle. 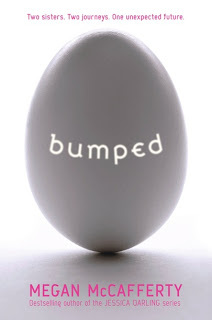 When the book starts, Melody is wearing a 40-week twin fun bump. Jingles, products, and commercials that encourage girls to "bump" with a guy and have a baby permeate their lives. At times, the conversations between Melody and her friends were annoying and superficial, and I found myself rolling my eyes a lot. But that was definitely McCafferty's point. These girls have been programmed from early on to get pregnant and give their babies away. It's the norm for them and consumes their daily lives. This book is entertaining and gets a little provocative at times. The ending leaves room for a sequel, and it hooked me enough to read it if one does come out. 16-year-old Cat lives in Black Creek, a poverty-stricken town in North Carolina. Two years earlier, one of her brother's friends sexually assaulted her, and she's shut out the world and her friends since. She even shut out her best friend Patrick, with whom she used to spend nearly every waking minute. Then Patrick is brutally attacked in a hate crime, and Cat must face the demons of her past to help bring his attacker(s) to justice. When trying to write this review, I really tried to avoid overused descriptors like "gritty," "raw," and "profound," but those words really do describe this book. There are so many issues that are addressed in this book that it could have gone horribly wrong - homosexuality, poverty, religious intolerance, discrimination, sexual assault, drug abuse. But it didn't. Lauren Myracle masterfully addresses these issues through the perspective of a character who is strong, unique, and oh-so-vulnerable. It's Cat who makes the story real and believable. The small town setting plays a crucial role in this book, and at times, I felt as if I was stepping into the town where I spent my childhood. From the gossipy neighbors to the intolerance that still seems to permeate some areas, any other setting would have done this book injustice. Without writing in dialect (which is super difficult and often done poorly), Lauren Myracle added touches that made the small town setting believable, such as having Cat's aunt exclaim things like, "Holy creamed corn." 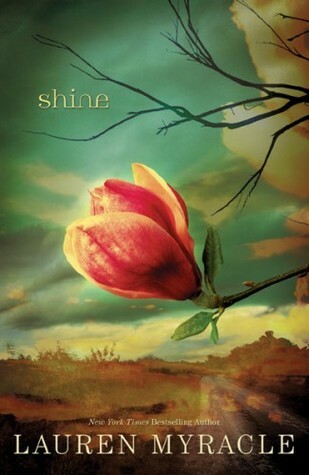 Cat's character is spunky, strong, and inspiring, and the story is thrilling up to the very end. Highly recommended.